Greetings from a sunny south of France. I’m very pleased to report that spring has officially arrived, and besides the whipping about of the Mistral wind, we’ve had loads of lovely weather… days full of sunshine and climbing temperatures. And with the first wisps of wisteria blooming, our neighborhood is full of the colors of the season. And today I’m thrilled to be presenting a book review / giveway for Flirting with French – a thoroughly enjoyable account of the ups and downs of tackling this beautiful, but often maddening, language. The book is written by lifetime Francophile William Alexander, who at the tender age of 57 decides to (re)commit himself to mastering French – a language that has both fascinated and bewitched him over the years. The book takes us from a 10-day cycling trip through the countryside of Normandy and Provence, to playing petanque with a French émigré in New York, to a 2-week French immersion program in the lovely the south of France. And anyone who has ever studied French can appreciate the author’s own struggles to overcome conjugation hurdles, face confusing gender agreement (a woman’s breast is… masculine? ), and stumble through the minefield that is French pronunciation. Perhaps some of the funniest moments in the book come from discovering the French “work-arounds” we all use when trying to “pass” as native speakers. Mr. Alexander has a triumphant moment in Paris when he manages to give a passing local the time of day as the hour falls magically on 12pm. “C’est midi” (It’s noon), he happily responds. No confusing numbers to deal with here, and a moment of “grâce” as they say in French – a true victory. Likewise, I remember discovering I could ask for a bottle of Evian instead of uttering, “Je voudrais de l’eau” (I’d like some water) and enduring the waiter’s blank stares as I repeated eau eau eau , in front of the equally baffled stares of my husband’s friends and family. A true French catastrophe. Beyond just being a fun way to escape to France via the author’s entertaining adventures, Flirting with French gives us an incredible amount of detail about the history and origin of the French language. I was surprised by how much I learned during my reading and how much the book helped me with my own French studies. Plus it’s a great way to feel like someone really “gets” you. We both love French, and the French people, but sometimes I could simply burst into tears when thinking about the subjunctive tense. C’est la vie Française my friends, pas simple tout le temps. That’s French life, not easy all the time… but always a grand adventure! Flirting with French is currently available for purchase on Amazon.com and at local bookstores. You can also find William Alexander on his Facebook page to learn more about Flirting with French and his other publications. If you’d like to enter to win a free copy of Flirting with French, please leave a comment below and tell us a little about your experience learning French, or simply a travel experience where you had to use French or another language. One winner will be chosen at random (using random.org) on Monday, April 20th at 12pm (French time!). Thank you for your entry Jenna! I’ve read this and loved it! It’s a great read… very funny as well! As I continue with my never-ending weekly French lessons, on Skype when I’m not in France, this book definitely holds an appeal for me! I’m adding it to my “must read” list. Merci! Thanks for your comment Patricia, you’re entered in the giveaway! I, too, am 57 and trying to perfect my rusty high-school French. This book looks great! You’re entered Karene, thank you for your comment! I took French on and off for about 10 years and currently in the “off” period. I would love to get back into it now though! Wow, 10 years is a long time Laura, good luck with your future studies & thank you and your entry! During my first hotel stay in Brazil, one morning they asked: voce quere tomar caffe da manha? As a native Spanish speaker, I thought they were asking if I wanted coffee, so I strangely declined. …just when you think you know another language because of its similarities!!! Ha! That’s a funny one Kenya… I make a lot of errors too with words that I’m sure are the same (or close) in French or English. Thanks for your entry! I tagged along my husband’s work trip to Lyon and stayed there for a month. I loved the place although the language was a challenge. Now we are back home and taking French classes.. Hope to be able to converse properly for our future trips back to France. How fun! I’ve yet to visit Lyon and I bet you had the chance to explore quite a bit over an entire month, lucky you. Thank you for your comment! I learned French at school, studied it to A Level standard. Many years later, my mother and I were on holiday in France, staying at a guest house next to Monet’s house and garden at Giverny. My mother dipped into a yoghurt, encountered a particularly tough bit of blueberry and one of her fillings dropped out. From somewhere I dipped into my vast reserves of French (being able to read Saint-Exubery in French is not a practice run for explaining the concept of a broken filling to your lovely hotel manager!!) and the delightful concierge not only booked us an immediate appointment with his own dentist in Vernon (Giverny has no dentists), but explained the circumstances to the dentist and presented me with a perfectly hand-drawn map which got us there to the appointment in plenty of time. Sounds like you found the right person to help you out! Never easy to take care of medical stuff… let alone in a different language! Hope you had a lovely rest of your stay, Giverny is just gorgeous. That’s a cute story, can just imagine the landlady as that same senario happened to me quite a bit when I first arrived. Only instead they were asking for my husband, Where’s Nicolas? It’s really so hard to get this language right! Hope you get to travel to Provence again soon and thank you for your entry. 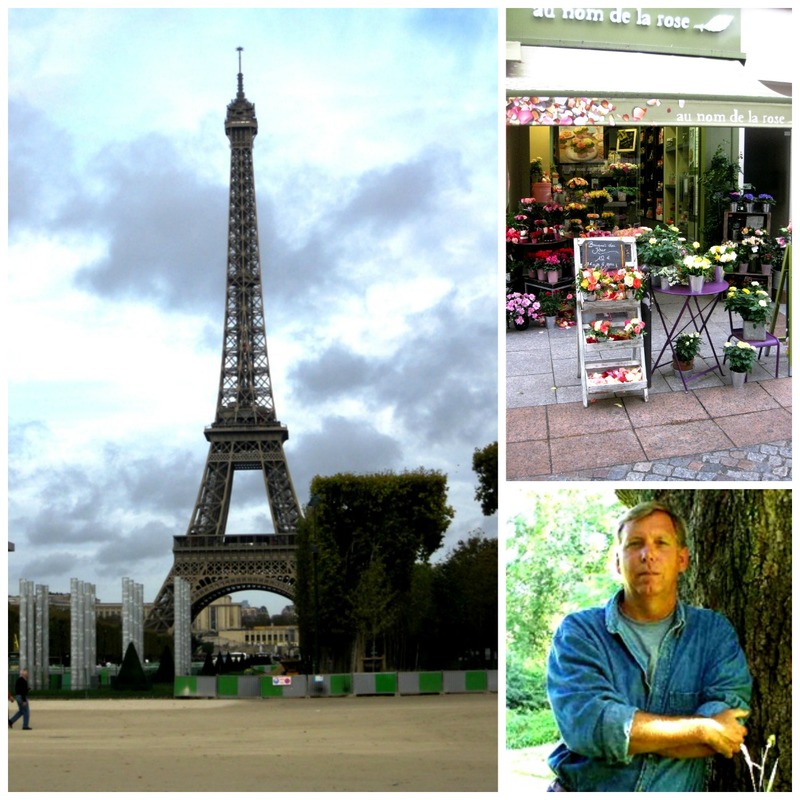 My love affair with France and the language began 50 years ago when I studied French at school. Somewhat amazingly I still am able to read French un peu and have been to Paris and France 6 times over the years. No mean feat when you live in New Zealand! So this book sounds like exactly what I need to “brush up” on the language for my next trip to France in 2016. That’s pretty inspirational Geoffrey! Especially that you’ve managed to make your way back to France over the years… thank you for your comment and wishing you a trés bon voyage in 2016! This book sounds interesting, does not matter my level right? I am going back and forth to from US to France and find it difficult to keep motivated while away from France. I am reading a lots of blogs and a couple of web pages with excercises, can you recommend one? I am into this blog now http://www.lepetitfranceblog.com/ and oh la la in you tube are really good videos too short. Thanks for posting.